Get out your Cowbells, it's Cyclo-Cross Season! The 2015/16 Cyclo-cross season is well under way - but what is cyclo-cross, where did it come from, what do you need to get started, where do you go to watch races and, above all, why is it so fun? Ride Velo investigates. Do you fancy getting covered in mud, jumping on and off your bike, carrying it while running up staircases being chased by other energetic muddy people and pushing yourself to the physical limit? If so, then cyclo-cross is for you. If not, there's lots of fun to be had spectating too - just don't forget the cowbells and craft beer. Cyclo-cross originated in Europe in the early 1900s although there is some debate about whether farmers racing across fields, or a French army private named Gousseau, invented the sport to stay fit in the winter months. Forced running sections of the circuit (usually about 2 miles long in total) were included to stop the extremities from freezing, and are an integral part of the race today as riders charge up steep slopes and stairs made from wooden planks, or wade through waterlogged ditches, ahead of their rivals. Nowadays, the season starts in September and runs until late January or early February with races taking place up and down the country every weekend. It's easy to get involved, either through your local cycle club or league - British Cycling has lots of information about events and clubs to help you get up and running (cycling). The other great thing about cyclo-cross is that it really is a sport that the whole family can enjoy - children from the age of about 10 can take part with competitive races for under 12s. There are youth categories, senior, women's and veteran's leagues too so kids, mums, grandads... all can get out there and slide about in the cold and the mud. Fancy cycling kit is not essential as it's likely to get wrecked! So you think it looks like fun, but how do you get started? You could go out and spend a lot on fancy equipment but it's not essential. If you have a decent mountain bike that will do, although the lighter the better as you will have to carry it in rough terrain under timed conditions. The course is challenging and technical so road cycling clothing will keep you cool during the 30+ minute race but a long-sleeve base layer is a good idea to wick away moisture and stop you from getting chilled in winter conditions. Don't forget a warm jacket for pre and post-racing! Full finger gloves are recommended and a helmet is essential (skin-suits are optional!). 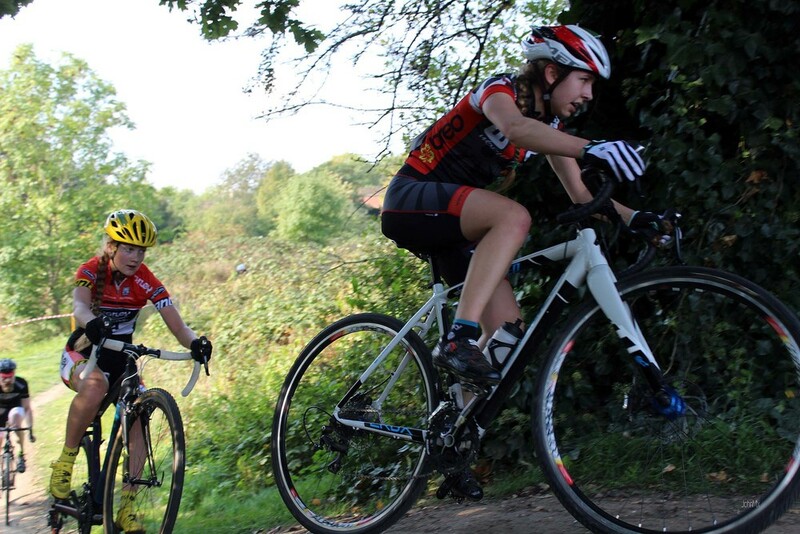 Once you progress to riding in league races then you may want to invest in a cyclo-cross specific bike. They're also excellent for urban riding and commuting too due to their light-weight racing frames, disc brakes and more upright riding style. Cyclo-cross bikes look, from a distance, very similar to road bikes, but they have wider knobbly tyres, larger frame clearance around the tyres and slighter lower gearing. Really keen cyclo-crossers even have two bikes - one to get filthy - and a clean, spare one on hand for when the gears are clogged with mud. If you'd rather watch from the sidelines, cyclo-cross events are great for spectators, as racing takes place in a self-contained area with competitors riding several circuits. The races can be theatrical and in Europe there is a tradition to sound horns and ring cowbells which add to the party atmosphere. All events from regional leagues to national championships are free to watch, so why not come along to the next one and show your support or volunteer? We'll be reporting on Rapha's Super cross event at Granary Square, Kings Cross in London on the 14th November. You never know, you might end up riding the next one!